The Nan Shan Buddhist Dictionary Project has begun. Translators around the world are short of the basics in translating the Chinese Mahayana Tripitaka into English or other languages. This dictionary is still not translated but is available online, quoted in scholarly works, and a part of multiple Buddhist online dictionary search engines in Buddhist terminology. A stumbling block in academia and public understanding of Chinese Buddhism and all it has to offer in it’s collection of Buddha dharma in the Chinese Mahayana Tripitaka. 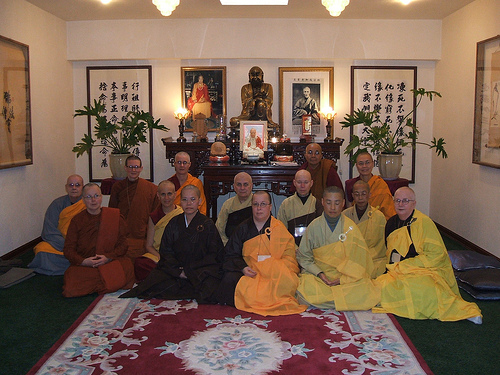 The Chinese Mahayana Tripitaka is inclusive of all extent Buddhist countries including what is known as Theravada and modern Tibetan Buddhism. It’s a pity that the Princeton Dictionary of Buddhism does not encompass much of Chinese Buddhism. After procuring a copy of that wonderful dictionary, I and other Chinese scholars found better online resources, thus the need to complete this key dictionary. Dharma folk A group blog by their own words: We are Buddhist folk who are interested in sharing our practice. We also like the internet. Clearly, for us this is the best of both worlds.